While it can be useful for picking up components at short notice, sells kits, and has a small amount of CB / licence free radio equipment, it seems to be a peculiar mixture of computer cables, battery powered children’s cars, overpriced PC parts, chargers, disco lights, tools, and a few electronic project items. Always nifty to have around, sadly there are often better options online. Maplin has finally gone into administration. They were roughly equivalent to Radio Shack. Farewell, Maplin. One of the last remaining tech stalwarts of the UK high street is going into administration, putting 2,500 jobs at risk across its 200 stores. So how can it be saved, if at all? And is it even worth trying? There was an inevitability to Maplin’s demise, but there needn’t be. While Blockbuster famously lost out to Netflix and Toys ‘R’ Us (seemingly) to Amazon, Maplin does meet a need that is otherwise neglected. Yet the numbers beg to differ. Maplin had hoped to find a buyer, but talks failed. It is now up to administrators at PwC to sell off what they can. Stores will remain open for now. Ultimately, it wasn’t the internet that killed Maplin. It was Brexit. Sort of. “The business has worked hard over recent months to mitigate a combination of impacts from sterling devaluation post Brexit, a weak consumer environment and the withdrawal of credit insurance,” CEO Graham Harris said in a statement. Click here to view the full article at WIRED. Thank you for the tip, Mark. When I lived in the UK I would frequent Maplin for various components and parts but as you suggest, it truly catered to generic consumer electronics. Like RadioShack here in the States, I imagine they will be missed as a convenient local source of some components. This entry was posted in News and tagged Maplin, RadioShack on March 1, 2018 by Thomas. Many corporate RadioShack stores, like the one above in North Carolina, closed after headquarters filed for bankruptcy. I love it! Yet another story of a RadioShack store finding opportunity and serving their community in the wake of bankruptcy. It is not often that you see a company go out of business and quickly reopen in the same location, but that is exactly what Jeff Pederson and Trevor “Reed” Freers have done with the Jefferson City RadioShack. Freers was the manager of the original store for six years before RadioShack went bankrupt and closed all of its stores nationwide. Freers’s store was one of the last to close as they continued to do well under his high level of customer service, which often including going to customers’ homes to make sure they were satisfied with their purchases and helping customers set up or troubleshoot new devices. “Running this store, I really grew to love the community,” Freers, who is originally from Kansas City, Missouri, said. When Pederson contacted him about managing a privately owned RadioShack in the same location, Freers was excited at the chance to get back to doing what he loves. This open area of the store will be home to the many classes the store now offers, such as soldering classes, drone classes and monthly training sessions on how to set up and use a cell phone. Freers has already partnered with a local gym which has requested a monthly class teaching older participants how to set up their Facebook profiles, as well at the Lakeway Amateur Radio Club to offer HAM Radio classes. Click here to read the full article at The Citizen Tribune. This entry was posted in News, Retailers and tagged RadioShack, RadioShack Closures, Troy Riedel on October 30, 2017 by Thomas. RadioShack’s second bankruptcy in two years may have brought its company-owned stores to the edge of oblivion, but it has apparently sparked a renaissance among the chain’s approximately 425 independent franchisees. As Wisconsin dealer-owner PJ Kruschel explains, inventory is beginning to flow again, and the departure of the corporate stores has ramped up customer demand and unshackled RadioShack dealers from restrictions on expansion. This is encouraging news indeed and verifies what I’ve seen at the two RadioShack franchises I’ve visited since the bankruptcy. In both cases, they are serving the needs of a local community–their inventory and services have always included products and services the corporate stores weren’t allowed to offer. RadioShack franchises have always had more freedom to expand their offerings, but now it appears they can even expand their locations. Excellent news, I say. This entry was posted in News, Retailers and tagged Radio Shack, RadioShack, RadioShack Closures on August 29, 2017 by Thomas. Over the years, RadioShack introduced consumers to exciting and affordable gadgets and electronics that have become household items. As we cleaned out our historic archives in Fort Worth, Texas, we uncovered a cache of iconic memorabilia in 12 huge safes, including: unused original TRS-80 Microcomputers, Realistic Transistor Radios, Tandy computer software games, original brick cell phones and so much more. We all remember coming into RadioShack whether it was for the battery-of-the-month, new walkie-talkies, or to check out the newest RC toy cars. Now we reintroduce many of those nostalgic items and more with our rolling online memorabilia auction. 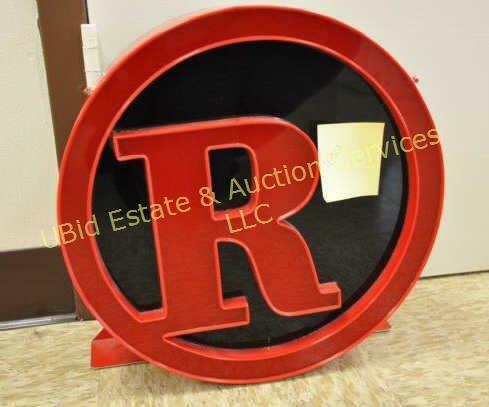 Click here to view the auction items. I must admit, it would be fun to own a few of these new-in-box/unused RS items. Besides the shortwave radio offerings, I used to drool over the TRS-80 systems. I still own my original Tandy Color Computer 2 (the “Co Co 2”). Someday, I plan to hook it up and show my kids what a proper volatile memory meant–turn it off and the memory is wiped clean! I remember how revolutionary the cassette tape was–it changed my world! Most, if not all, of these auctions end on July 3, 2017. I doubt I’ll bid on anything…still…I’m enjoying the stroll down memory lane. 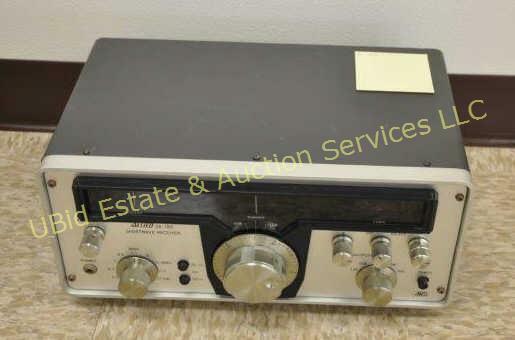 This entry was posted in News, Nostalgia, Radios, Shortwave Radio and tagged Kim Elliott, RadioShack, RadioShack Auction on June 5, 2017 by Thomas. Here is a very interesting PDF legal document (via Prime Clerk) that not only has the “COMPLETE” RadioShack store list that are closing by early April (Tranche One and Two) but with important dates given. Click here to download Docket 98-2 (PDF). Yes, sadly the store I worked in for over 8 years is closing by (before) April 6th when this store will become Sprint only. Being in a Mall , its funny it was not closed in the first bankruptcy ?? It’s been in that spot since late 1981. Many thanks, Dave. As I mentioned in this previous post, poor RadioShack is all but dead for us hobbyists and Makers–one last chance to grab some closeout deals before the retail outlets become Sprint stores. This entry was posted in Ham Radio, News, Retailers and tagged Dave Zantow (N9EWO), RadioShack, RadioShack Closeouts, RadioShack Closures on March 19, 2017 by Thomas.